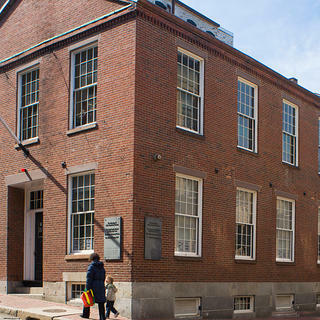 The African Meeting House was built in 1806 and is the oldest existing black church building in the country built primarily by black artisans. The meeting house hosted numerous prominent abolitionists, including William Lloyd Garrison and Frederick Douglas. The Abiel Smith School, built in 1835, was the nation's first building constructed for the sole purpose of housing a black public school. 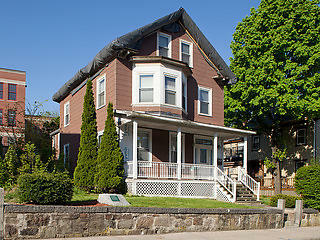 At the end of the 19th century, as the African-American community began to migrate from Boston's West End to the surrounding neighborhoods of South End and Roxbury, the building was sold to a Jewish congregation. It served as a synagogue until it was acquired by the Museum of African American History (MAAH) in 1972. 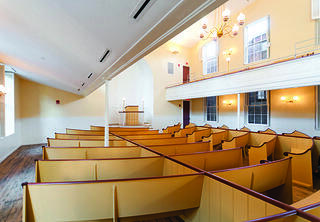 The African Meeting House is owned and operated by the Museum of African American History. 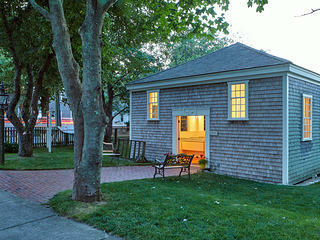 The African Meeting House is also a member of the National Trust's Distinctive Destinations program. Fifty percent discount on regular public tours: one adult for individual Members; two adults and all children under 18 years of age in the immediate family for all other Members. Discount does not apply to other programs and cannot be combined with other offers. To receive discount, valid membership card must be presented at time of visit. Please contact site directly to ensure that discount is available on date of planned visit and for specific tour desired.